Caterpillars must end their existence as caterpillars to become butterflies. Diamonds exist after intense heat and pressure. Flowers only bloom after the bud has broken open. Sometimes it takes moving through the darkness to create light. Our pain creates our story which fuels growth and power. Sometimes we have to tolerate discomfort and move through darkness to create light and healing. But we don’t have to do it alone. 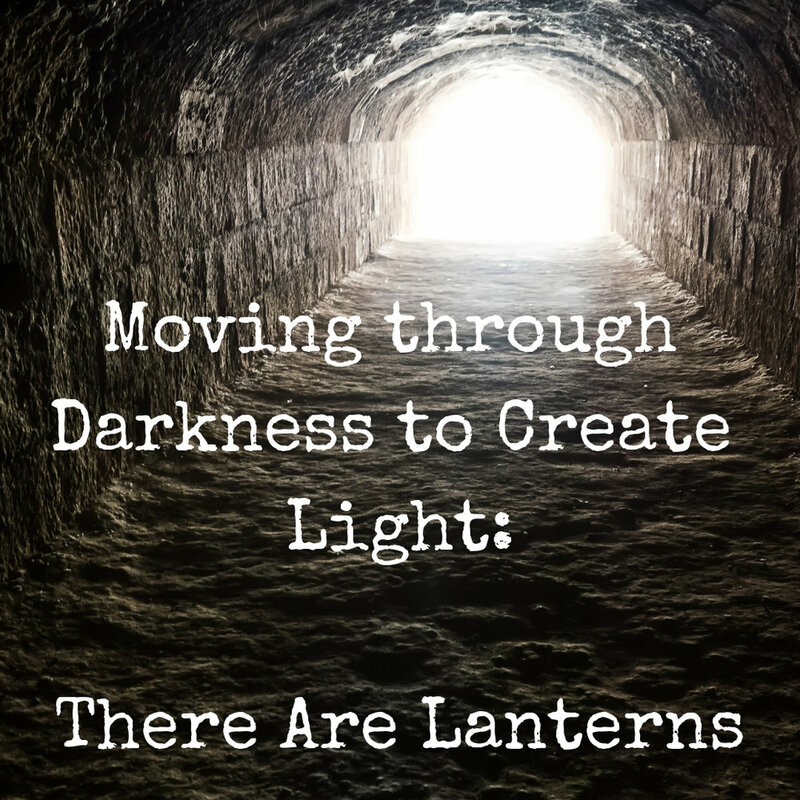 Others have moved through that darkness too and we can use them as lanterns along the way, learning from their journeys and their growth as a means to understand our own. Cinnamon Howard is one of those lanterns: she is a gifted insightful therapist, an incredible human and an amazing friend. I am grateful for her willingness to let me share her insights with you here. What does it mean to be vulnerable in life and in therapy? The following is written by Cinnamon Howard about her own experiences as a therapist. To witness people unravel, the tears and the anguish tearing them apart from who they were when they walked in... these days, when I have the honor of witnessing someone's unraveling, it fills me with hope for them because I understand what's in the making. But in the early days, it was a different story. I listened while clients whispered secret ugly truths that they hid from others because they felt shame. What sometimes followed was uncontrollable weeping, even moaning; people double-over in emotional pain. Some people can't talk anymore after that and we just sit together. Sometimes it's just silent tears, not allowing themselves to reach for a tissue. It was hard for me to sit with them and taught me so much. As a child, it didn't feel safe for me to share my feelings or what was really going on so I kept to myself a lot and learned to be an "internal processor." That internal processing "skill" served me well growing up and it has stayed with me. Even now, decades later, it's still difficult for me to be fully emotionally vulnerable, even with my closest friends. So as a brand-new-therapist-in training, seeing clients' raw vulnerability, their display of very out-loud emotions, the way they were exposing themselves... it shocked the hell out of me. I remember being in awe, thinking, how do people do that? How can they just come in (to therapy), unload all this horribly painful stuff in front of a complete stranger, leave and go back to the rest of their day? Aren't they embarrassed? Isn't that kind of soul-breaking experience supposed to happen in the dark, alone? Didn't they feel brutally exposed? In therapy school, we learn (to the nth degree!) that ALL our feelings are normal and acceptable. But still, I didn't make any plans to let mine come screaming out of the bag to run wild. Yes, I was in therapy. And yes, sometimes I cried. But I never let loose, not like THAT! I was making some progress, but I wasn't telling the full, honest-to-goodness-ugly truth or baring my soul in therapy. I hard-cried at home, in the dark, by myself! In those days, I definitely was NOT taking the risk that some of my clients were taking by being that vulnerable. I didn't know how like they did. My clients were getting it OUT and they felt so much better, so much faster! I hadn't realized it, but I was holding it in, keeping it private and trying to process on my own (think, echo chamber). My clients were taking a huge risk, being so vulnerable, getting the yuckiest, excruciating parts out, with me as witness. I learned from them that I was definitely not "doing vulnerability" to the fullest extent. This means I wasn't being honest with my thoughts and feelings because I was too scared. Therefore, I was not getting the full benefits of therapy... and it was taking longer! It was my clients, in those early days, that taught me the value of doing the no-holds-barred method of therapy. When I started telling the yucky truth and stopped holding back my feelings, it was terrifying. But I felt so much better not carrying all that "emotional baggage" around by myself. I don't want to tell other people how to "do" their therapy, but maybe there are others out there who might want to try the no-holds-barred method. It definitely gets my vote! Who knows, maybe you'll shock the hell out of your therapist, too. Cinnamon Howard is an LMFT in private practice in Redondo Beach, CA.